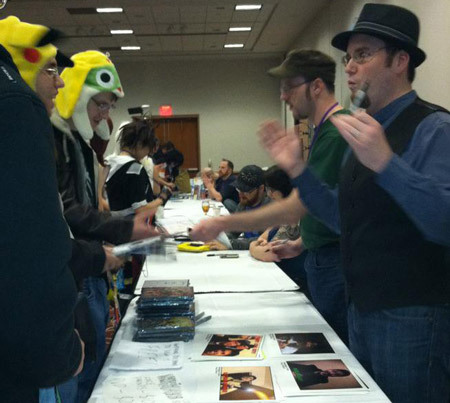 Anime Milwaukee is in it’s fifth year (not counting that pesky snowstorm year) and has continued to grow in leaps and bounds. I mean, I remember 3 years ago setting up a table in the hallway of the Student Union of UW-Milwaukee. Ah, how things change. Now, thanks to a great staff lead by Rachel, Con Mom Debbie, Jennifer and a host of awesome volunteers (you know who you are!!) the show is at the biggest venue that Milwaukee has to offer, the Frontier Center, formerly host to Wizard of The Coast’s Gen Con. I don’t know if the final numbers are but they were thinking over 3,000 attendees which is a significant jump from last year. No surprise, I had a great time not only showing off my work, but meeting new people and saying HI to old friends. It’s not too hard to remember people that come by your table year after year, attend your panels and share their wonderful personality with you. *Those* are the sort of people that come to Anime Milwaukee. 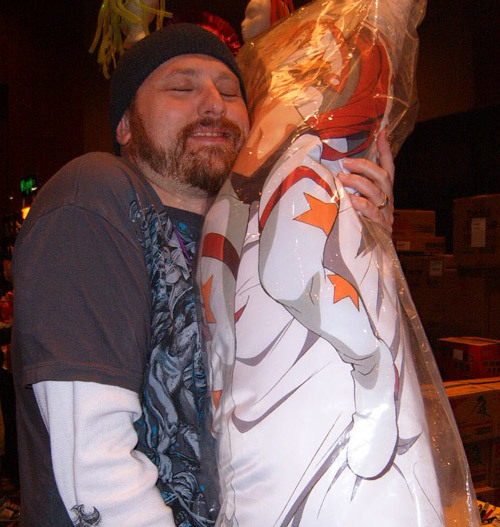 And being a guest, and subject to the wonderful hospitality of Anime Milwaukee will clearly make any weekend. 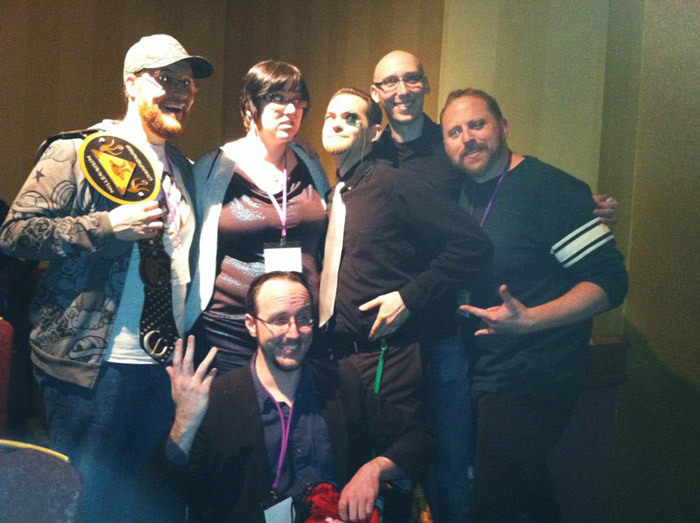 Last year, I didn’t get to mingle with Uncle Yo and Doug Walker, but I got to this year! And they’re as hilarious and cool ‘off-stage’ as they are on-stage. I don’t think they’ll mind me saying so, but Doug’s family in attendance (parents, brother, sister-in-law) were extremely cool. I mean, I got to talk ‘Nature Boy’ Ric Flair with his Mom! Wrestling and comics! Plus, Uncle Yo is never un-funny. Goose egg in the groan department, and he’s a big table top gamer and I desperately wanted to go to one of his many panels on RPG. Obviously, I’m already looking forward to next year, but I really hope I get to see some of these fine faces at some of the other shows I’ll be attending, including Anime Central and Otakon. Now I want to know what Rob (right) is discussing. That's me waaaaay in the back.